Scope: In 2015, IRM’s Marc Barnes and Cascade Pacific RC&D Executive Director & Stewardship Program Coordinator-Kirk Shimeall, joined Daniel Whelan-U.S. Senator Jeff Merkely’s Field Representative and Natural Resources Liaison and several other Merkely staff from DC, Portland & Medford in a tour of the Buck Rising Variable Retention Pilot Harvest Project on the BLM Roseburg District. As directed by the Secretary of the Interior, the purpose of the demonstration project was to illustrate the principles of ecological restoration developed by Drs. Jerry F. Franklin and K. Norman Johnson. BLM conducted a variable retention harvest of 59 acres on Matrix lands, and 19 acres of variable density thinning in Riparian Reserves, for a total harvest of 2,024 thousand board feet of timber. The project generated a multitude of discussion among statewide forest conservation organizations and stakeholders. Scope: For the purpose of the Multi-Party Monitoring contract, IRM worked with Cascade Pacific RC&D, the National Forest Service and various stewardship groups from the Siuslaw Basin to develop and implement monitoring procedures to track stewardship contracting related activities on the forest. This contract included organizing stewardship data into a Microsoft access database, conducting fieldtrips with stakeholders, installing photo point and stand exam plots and preparing a summary report detailing fiscal years 2009-2012 accomplishments. Scope: In November 2012 Marc Barnes participated in the Pacific West Regional Stewardship Contracting Multi Party Monitoring Team Meeting in Eugene, Oregon. The meeting focused on new tools, strategies and approaches to collaboration, and the future of stewardship authority. Marc Barnes initiated discussions to assess stakeholders attitudes towards stewardship contracting, assist agency personnel in forest management and share experiences in community engagement including successes and challenges in stewardship contracting. IRM continues to volunteer its time and serve on the Board of the Alsea Stewardship Group. Scope: In March of 2013, Marc Barnes, participated in a lobbying trip to Washington DC along with other stakeholders including Oregon Wild, KS Wild (Klamath Siskiyou), American Bird Conservatory & several others. The purpose of the trip was to promote stewardship contracting on the national forest and to garner support for reauthorization of stewardship contracting which expires at the end of 2013. Over three days Mr. Barnes and the other participants met with high level agency folks in the US the USFS, BLM, USFW, Department of the Interior and the Department of Agriculture as well as the Congressional Delegation from Oregon. Mr. Barnes presented the successful story of stewardship collaboration on the Siuslaw NF and how local & regional forest stewardship project implementation has been paramount in moving the forest away from confrontation towards a collaborative agenda which promotes economic, social and ecological stability. Discussions with agency personnel from BLM and DOI focused on demonstrating how the Siuslaw experience could be used as a model for the O&C lands in Oregon. The trip was met with overwhelming bi-partisan support for Stewardship Contracting/Collaboration and the stakeholders were happy to find out that the reauthorization of stewardship contracting is high on the agenda of the Oregon Legislative delegation and that the agency leaders are confident that reauthorization will occur due to its popularity on both sides of the aisle. Scope: In March 2011, IRM joined several sponsoring groups to conduct a workshop regarding false brome infestations in the Willamette Valley. 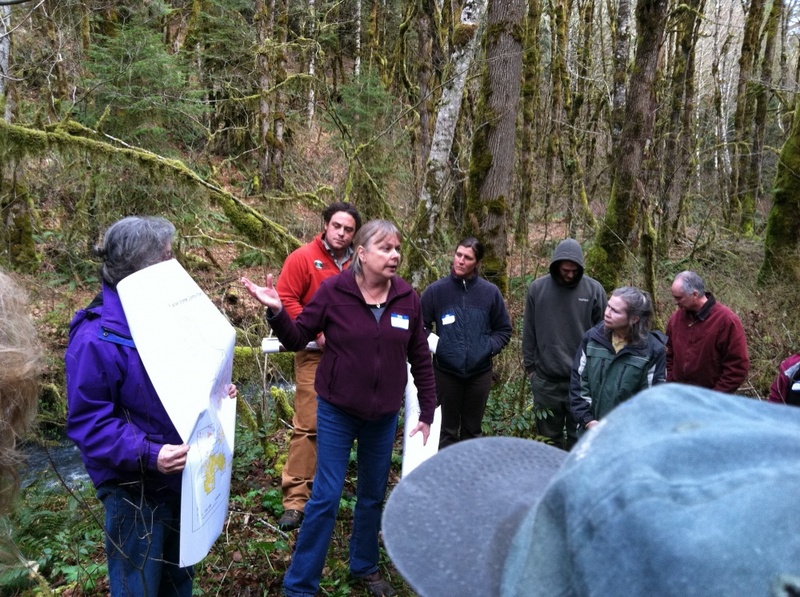 The workshop included speakers from the Siuslaw National Forest, Institute for Applied Ecology, Applegate Forestry (Debbie Johnson speaking in the adjacent picture), IRM, and private landowners. A field trip in the afternoon session allowed workshop participants to view two false brome eradication projects, one completed by IRM with the use of herbicides and one completed by a private landowner without chemicals. Participants were able to discuss with speakers the control methods that were used, cost and production figures as well as the future outlook for false brome control. Scope: IRM worked with the University of Oregon to establish a series of climate change research plots across three sites from Southern Washington to Southern Oregon. IRM applied glyphosate to each of the 50M by 50M research plots in order to reestablish native grasses and track changes in growth patterns over time due to controlled variables such as carbon dioxide, which were altered to mimic climate change. At one of the three sites, IRM was contracted to remove encroaching Douglas fir trees from an oak savannah in order to standardize the sample design of the project. Scope: In 2009 IRM assisted the Greenbelt Land Trust with a multi-party collaborative effort in native tree and shrub plantings. Over the course of two days, nearly 500 native trees and shrubs were planted by Calapooia Middle School students with the assistance of Integrated Resource Management and many other parties. This is the second year that IRM has assisted in the planting project on this 200 acre conservation easement managed by the Greenbelt Land Trust and looks forward to many more years of planting collaboration. Scope: IRM provided outreach services in support of NNRG’s program development in Oregon. Our work included site visits, scoping and certification assessments with landowners throughout Oregon. 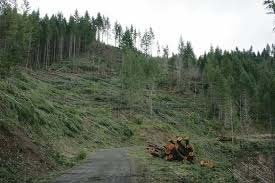 Scope: In 2001 IRM assisted the CTGR with the preparation of a Ten-Year Management Plan and Environmental Assessment for 10,000 acres of tribal land near Salem, Oregon. IRM used the Landscape Management System (LMS) during the scoping phase of the project with the tribal members, as well as the regulatory agencies, to project the landscape according to different management scenarios. The Forest Projection System (FPS) was used for forest inventory management and growth projection.